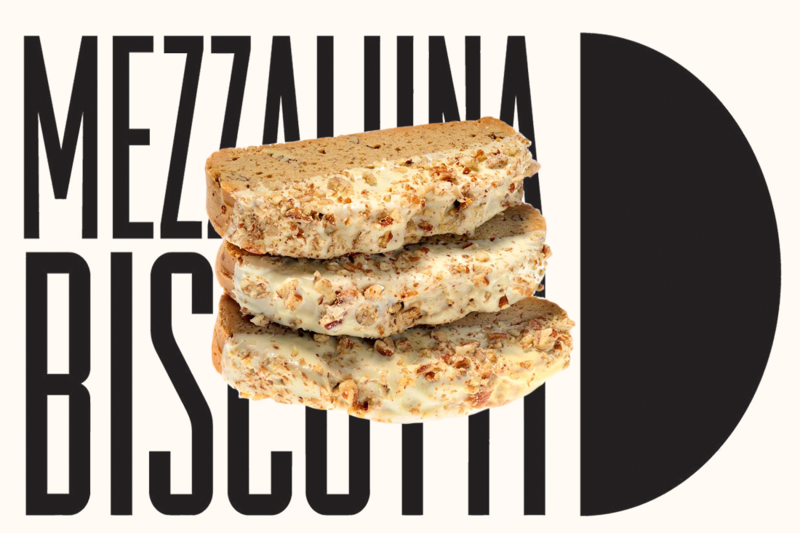 This is an over the top offering by Mezzaluna Biscotti! We know you like toppings so we combined chunks of Macadamia nuts, rich Toffee, and white chocolate chunks which we dip in Dark or White Belgian chocolate! FACT: Aloha means hello and goodbye. 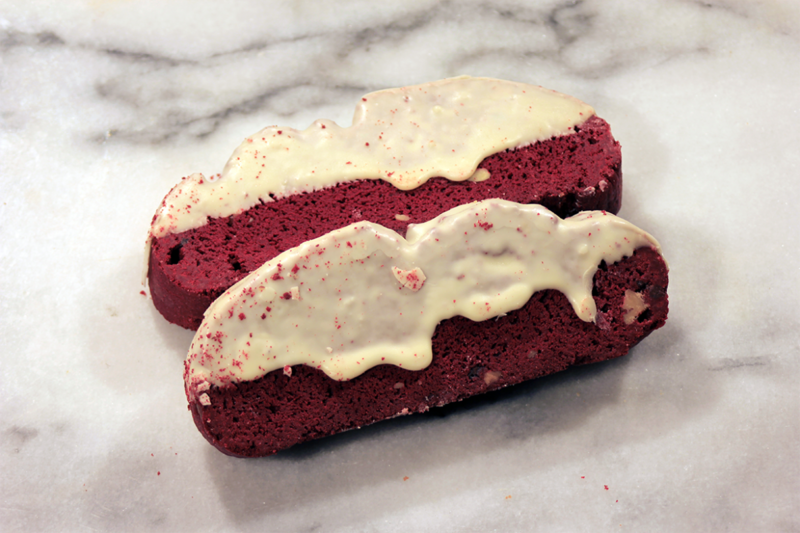 NOTE: Say Aloha before you bite into Mezzaluna Islander Biscotti to experience the full effect! 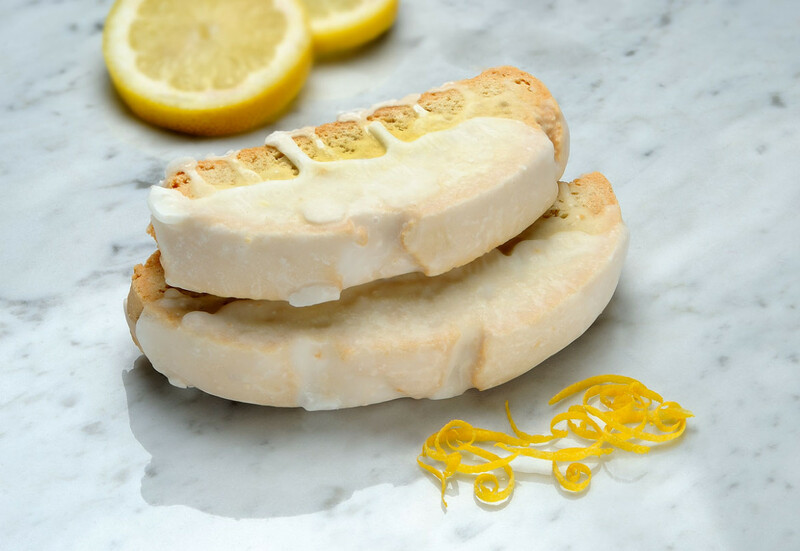 Mezzaluna Biscotti has created Pumpkin Biscotti at your demand! Our’s is a pumpkin cake like Biscotti dipped in your choice of Dark or White Belgian Chocolate with a pecan topping! 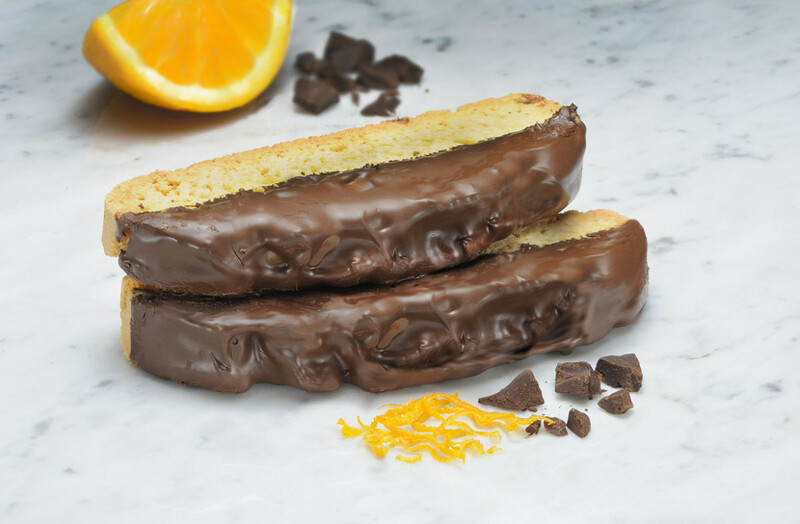 Fresh peeled rind of lemon for the crisp taste and its Dipped in a White or Dark Belgian Chocolate of your choice! A sweet and clean Orange cookie! And, its dipped in the Belgian White or Dark Chocolate! 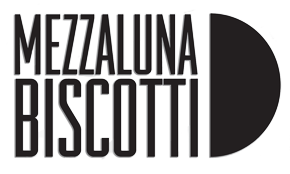 Mezzaluna Biscotti best seller! 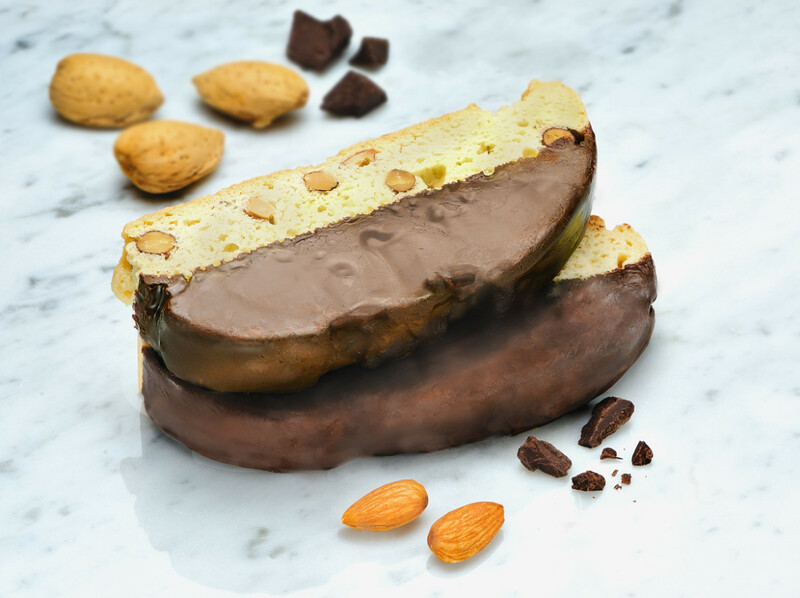 A traditional favorite with a modern baking twist its made with lots of chunks of Almonds Dipped in Belgian White or Dark Chocolate! 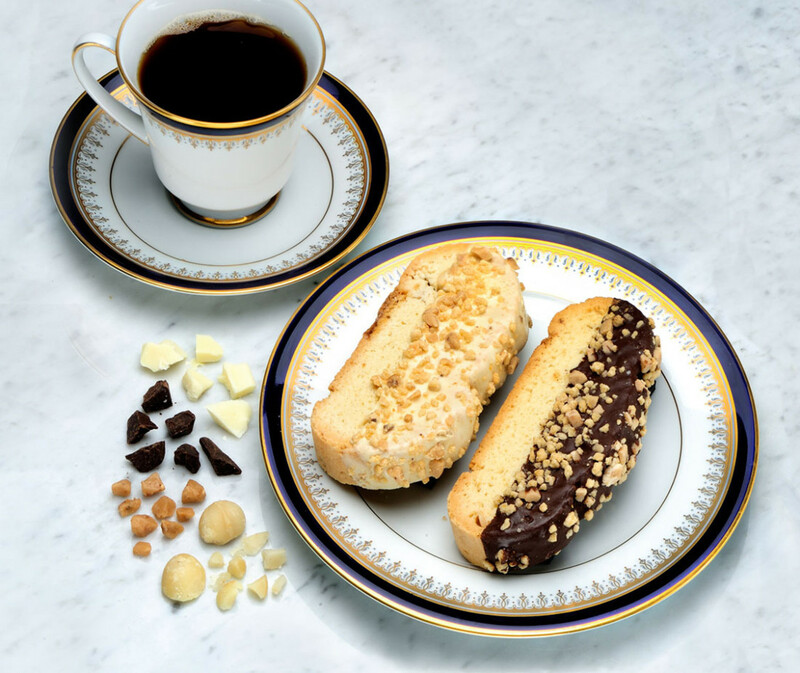 Chocolate chunks abound in our Biscotti filled with all Dark Chocolate and large Dark Chocolate Chunks then dipped in white or dark Belgian Chocolate! 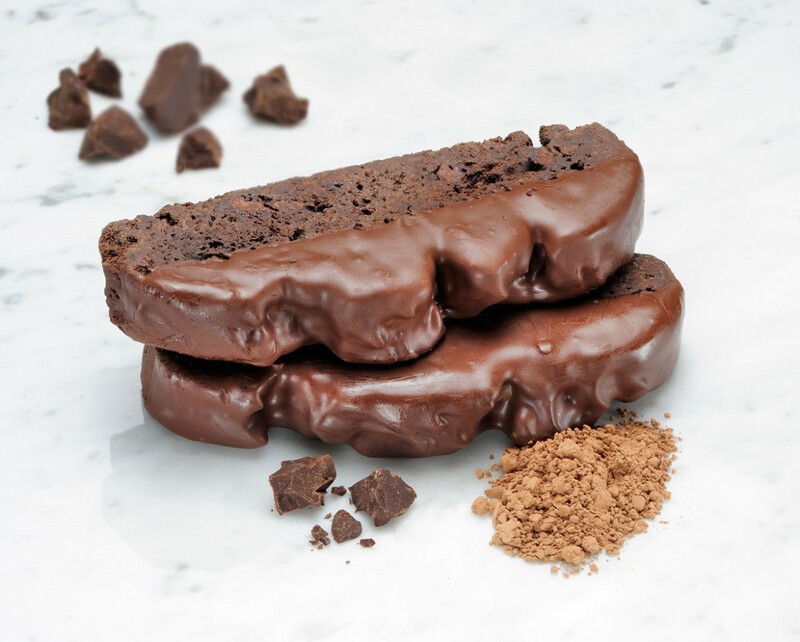 This is a super rich Brownie experience in a Biscotti!